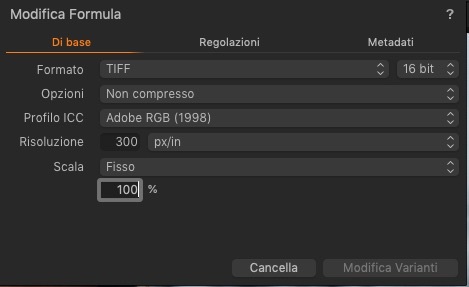 after C1 Pro 12.0.1 update I can't edit image with Photoshop. I choose "Edit with..." --> Photoshop but Edit button doesen't work and it's gray. Best option here is to create a tech support case (via the link in my profile) and send us your log files, which can be generated via the Scripts > Get Logs option. same problem here. Button is also greyed out. I can work around it by choosing "open with" the file is opened with ACR first, but I can open it in PS from that screen. File types (tif, new, raf) does make a difference for this. But rather irritating this. Opened a support case too. Did you check that in Capture One -> Preferences -> plugins, the software you want you edit with is cross checked ? You just have to go to "Capture One" -> "Preferences" in the main bar menu -> "Plugins" and there you have a list of all the applications/softwares you can add. Once you have checked the ones you like, they will appear in the list of "Edit with....". I had a similar problem. All of a sudden, C1 wouldn't allow edit with - until I checked preferences and made the appropriate selection. The thing is: I hadn't changed my preferences. One day Edit with Affinity Photo worked - the next day it didn't! Make sure that Spotlight indexing is enabled. Otherwise the Open With menu in the Plugins preferences does not get populated. Then make sure you check the desired application in the Preference. A restart will be needed after making these changes. Is it completely empty ? If not, you can try to add ('+' sign at the bottom left) your favorites apps.